Jewellery box in stunning book matched Walnut Burl creating a distinctive pattern across the front, top and rear. 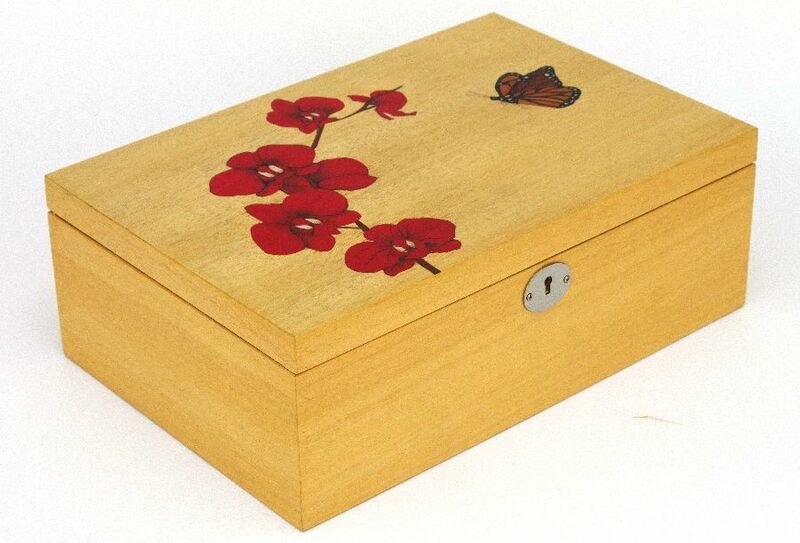 Finished to a high gloss, this box is fitted with gold plated fixings and is fully lined in deep red suede material. The Sapele tray comes with a ring holder.